Problem: How does a fitness club attract consumers in a competitive and growing field? Solution: By using an OOH campaign to deliver targeted messaging to gym-goers. 24 Hour Fitness was facing stiff competition after boutique health clubs like Orange Theory Fitness and lower-cost, no-frill gyms like Planet Fitness emerged in the market. It wanted to reinforce its brand image and prevent its membership from eroding. The company wanted to highlight its high-quality amenities and wide range of fitness classes all at a competitive monthly membership fee. 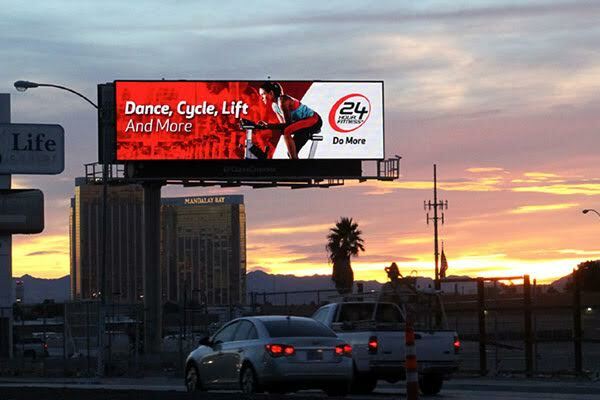 24 Hour Fitness wanted to increase lead generation and new member sales in the Los Angeles and San Francisco clubs. The company’s goal was to cultivate brand awareness with members of boutique health clubs and no-frills gyms. 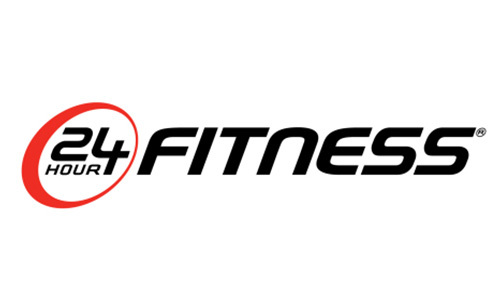 In addition, it wanted to solidify the brand with existing members to increase their loyalty and use of 24 Hour Fitness’ boutique-like programs. 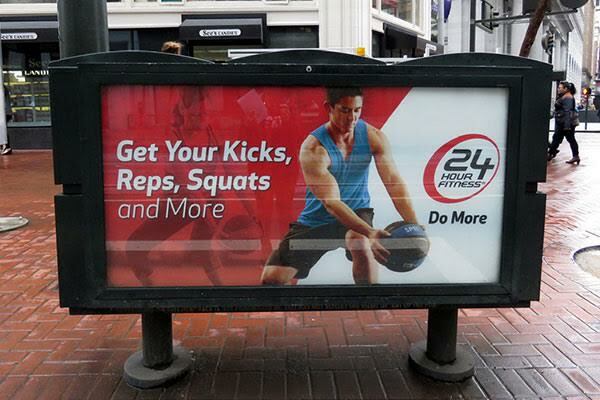 The media company used a proprietary suite of audience planning and attribution solutions to ensure that 24 Hour Fitness’ message was effectively delivered to its target. 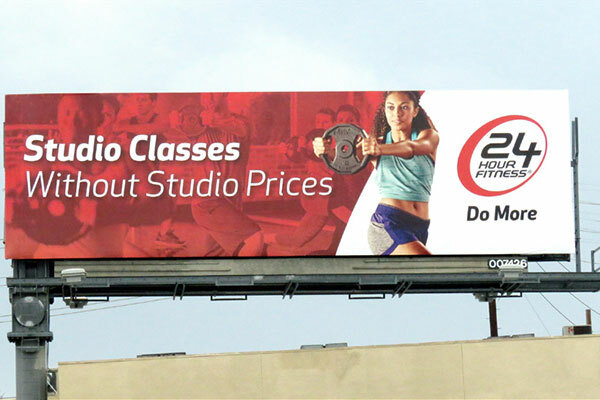 Billboard locations were selected through a combination of three strategic approaches: proximity targeting (identify billboards near 24 Hour Fitness clubs and their competitors); demographic targeting (use Geopath data to select billboards most likely to reach the target audience); and behavioral targeting (utilize mobile data to identify billboards that were seen by people who had recently visited a health club). Once the OOH campaign was built, mobile advertising was used to reinforce the OOH creative and drive greater response from consumers. All billboard locations were geo-fenced in order to amplify mobile ads to consumers who had been exposed to the billboard advertisements. 24 Hour Fitness clubs and its targeted competitive locations were also geo-fenced. The mobile ads delivered custom messaging based on the audience that was reached. More specifically, consumers who visited a competitive club received different messaging than those visiting a 24 Hour Fitness location. Mobile data was used to identify consumers exposed to the 24 Hour Fitness campaign and observe and measure their likelihood of visiting a target location afterwards. The OOH campaign’s effectiveness was proven by comparing the behavior of those exposed to the ads to a control group of consumers who were not exposed. Throughout the duration of the campaign and for thirty days after, mobile data was analyzed to understand the percentage of the exposed group observed visiting a 24 Hour Fitness location in comparison to the observed visitation rate of the unexposed group. All data was tested and reported at a minimum 90 percent confidence level to ensure the accuracy and relevance of the findings. Once the mobile retargeting strategy was applied in tandem with the OOH targeting, it helped power hyper-local, club-specific marketing. The mobile campaign metrics gathered at the client level revealed that combining mobile retargeting with the OOH campaign was a highly effective marketing strategy. The click-thru rates (CTRs) generated were double the industry standard at 0.25 percent and performed better than other digital channels. The success of the initial campaign led to the extension of mobile campaigns in additional markets where the media company had no OOH presence.